So what can we expect this year at Ultra in Miami? Well, if you like electronic music, Ultra Miami is absolutely the place to be during the week-long marathon of electronic dance music events in Miami this year. A few days more, Ultra Miami 2017, the huge EDM festival that seizes the waterfront of Florida’s ‘It City”, will take place March 24, 25, 26, 2017 and it is expected to be another accomplishing edition for the dance music industry. 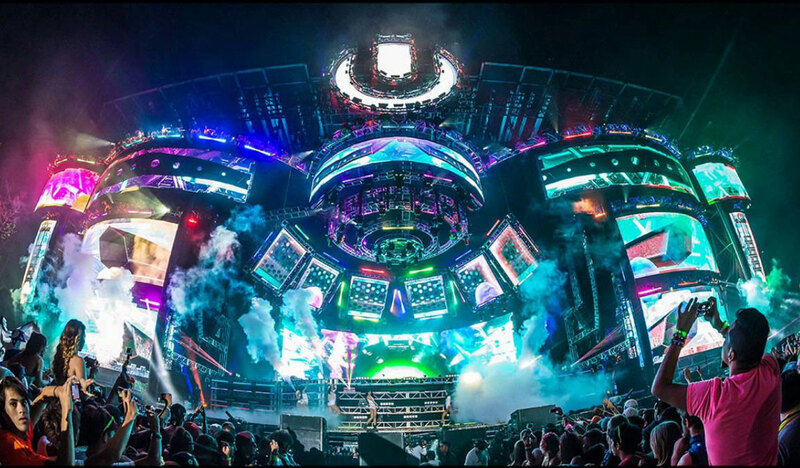 It’s been many ups and downs since Russell Faibisch and Alex Omes founded Ultra in 1999 Florida’s first outdoor electronic music festival as an inspiration they found in the 1997 album titled Ultra by iconic English electronic band Depeche Mode. The uniqueness of Depeche Mode’s Ultra that allowed the band to re-adjust successfully and avoid some of the internal and external difficulties that slowly kill many bands, seems to be reoccurring in our modern times to keep Ultra Miami the flagship of an international electronic music movement that’s pouring tremendous earnings wherever it happens. So what can we expect this year at Ultra in Miami? Well, if you like electronic music, Ultra Miami 2017 is absolutely the place to be during the week-long marathon of electronic dance music events in Miami which actually spans across a myriad of venues in the city and is attended by hundreds of thousands of people from all over the world. Ultra, held at the picturesque Bayfront Park, is a three days fest which includes the Mainstage, the Live stage, the MegaStructure, the Worldwide stage, the UMF Radio stage, the Resistance stage, and the Oasis stage. So many stages grant enough space for the over 150,000 people that usually turn up at the festival. Here you will have to show enough stamina to rage for up to 12 hours for 3 straight days where you can actually enjoy the massive scale Ultra Miami is with all the lineup they gather each year. All the investment is really worth it. You can navigate between stages – though it can be hectic taking into account that there’ll be more than 150,000+ people in the park at any given time – and enjoy many good acts playing one after the other. Ultra Miami 2017 lineup includes the world’s most famous DJs, among them Tiesto, Hardwell, Above & Beyond, Afrojack, Armin van Buuren, Axwell Λ Ingrosso, Carl Cox, Dash Berlin, David Guetta, DJ Snake, Dubfire, Jamie Jones, Joseph Capriati, Maceo Plex, Marco Carola, Martin Garrix, Sasha & John Digweed, Steve Aoki, and Tale of Us. The music is loud, so loud that even when you get home, you may still hear the music inside your head. But that’s the beauty fo EDM, right? Miami’s three days of electronic dance music is only for people age 18 or older. Revelers usually bring lots of neon, energy, dance moves, a good attitude, and any ridiculous outfit you can fathom. This is part of the fun at the festival, and always a quirky activity at any EDM concert. Ultra can also be one of the best experiences you’ll have with your friends. You will find people with great vibes and one thing you can count on, it is very diverse. And enough said, Ultra happens in Miami which is always a good idea. You will easy get caught up drooling and wide eyed, marveling over everything you can do in Miami. If you are traveling to Ultra Miami 2017, this will be massive excursion which only way to experience it is to the maximum: beach, sun, nightclubs to the wee hours of the day, food, shopping, and endless activities you can think of. Remember that UMF is kind of the wrap up of Miami Music Week (MMW) and that during this week, an extremely great number of music acts happening at the coolest venues in Miami where you can also see many of the participating DJs in a more intimate environment at parties, hotel pool parties, club nights, beach parties, etc. The energy and empathy that come from people from all around the world, the music and the environment during this week will make you want to come year after year. This is the aftermovie for Ultra Miami 2016, a year that perfused the gargantuan dance music blowout with surprise pop-star appearances and had Deadmau5 as a replacement for The Prodigy in the Live Stage who had one of those Ultra Miami best moments gigs when at the end of one of his sets he played “Ace Of Spades” by Motörhead, and the adamant trance family didn’t skip a beat to rock out to a tremendous tribute to fallen rock star Ian Fraser Kilmister, better known as Lemmy. As I had mentioned above, last year’s Ultra Miami was full of EDM’s most notable stars who generated the massive amount of hype expected of the festival every March. All those attending – and the millions watching the live streams – had a chance to hear the newest music these producers and DJs delivered during the three-day extravaganza. Ultra Miami 2017 will make you appreciate electronic music a lot more, and you will have a good time overall, well worth the trip. Stay tuned to chat more about what’s happening at Ultra Miami this year. We’ll keep posting our articles under #UltraMiami, #UMF2017 & #Ultra2017 on Twitter and the best photos on Instagram. On the road to Ultra Miami 2017, the Coolest EDM Party in the USA. Here’s what you need to know about Ultra Miami 2017, performances Lineup, and all events.